Chatilyzer - Stats, analytics, and fun facts about your WhatsApp groups. Have you ever wondered what's going on in your WhatsApp groups? Well, Chatilyzer might help you find out! 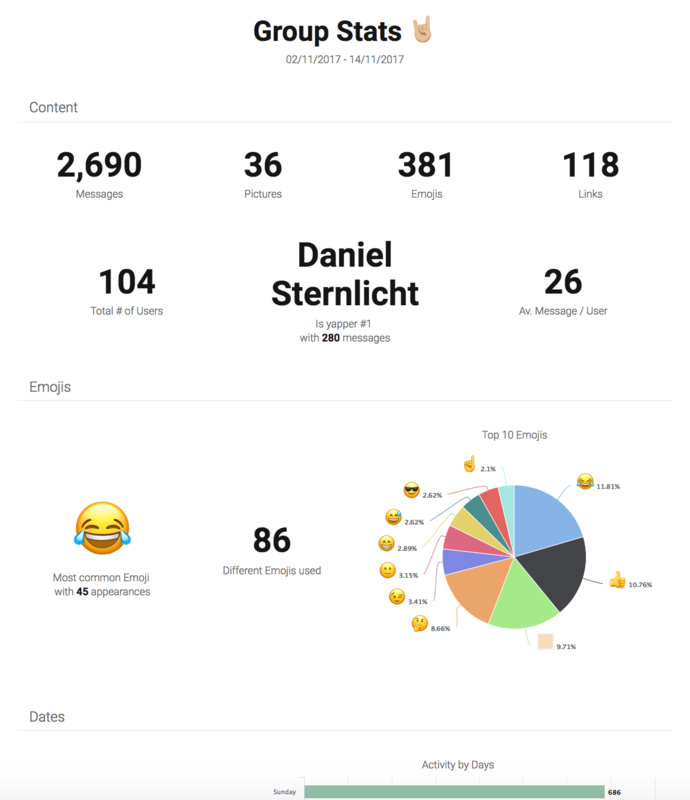 With out of the box analytics you may easily discover who's the #1 yapper, what's the most common emoji in the group, and how many messages are being sent every day. In order to use our analyzer you need to export your WhatsApp chat to a text file. 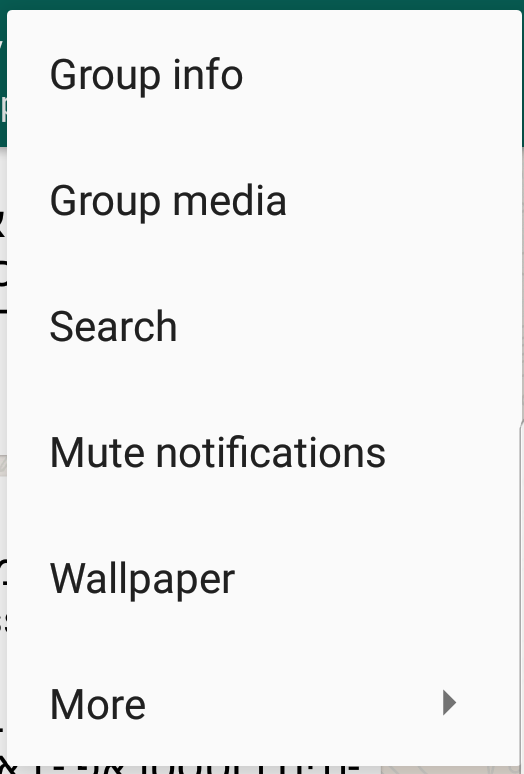 Go to WhatsApp in your mobile phone and select the desired group. Press the context menu ( ) in the top right corner.. In the context menu, select the "More" item. 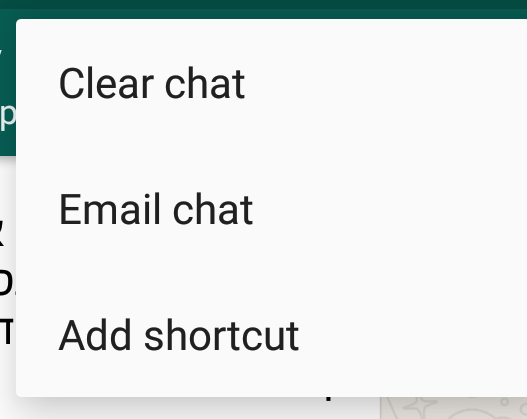 In the new menu, choose "Email Chat". You should get a popup where you need to choose between exporting with or without media. Choose the "Without Media" option. Email the exported text file to yourself. Download the file to your computer, and upload it to Chatilyzer. Press the group name in the top navigation bar. Scroll down and look for the "Email Conversation" button. What does the exported text file contains? 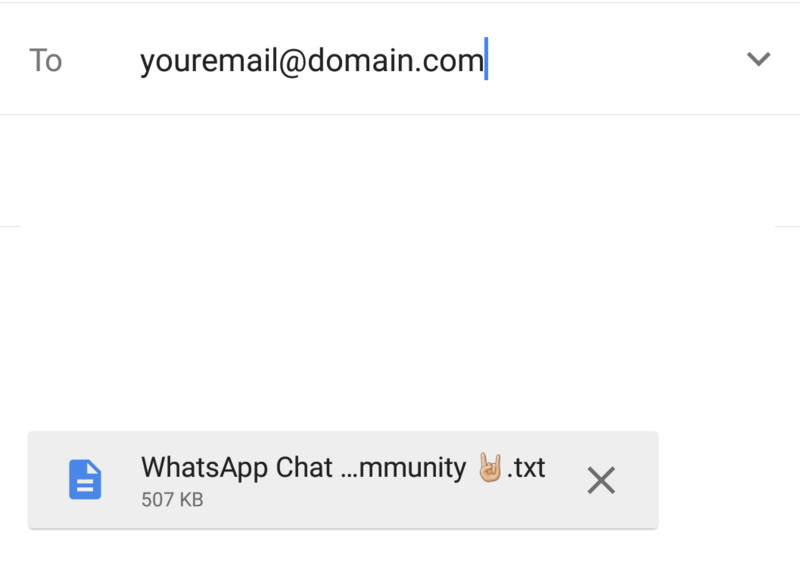 The text file you're exporting from WhatsApp contain a list of messages from your chat. The format of the file is *.txt and each line presents a message in the chat. What's happening with my data? While you're uploading the full conversation of your chat, we're saving only numbers and data we need in order to show you the analytics. Which type of data are you saving? Mostly we're saving only numbers and summaries of each section. For example, we're saving the total number of messages sent, but we're not saving the messages's content itself. We do save things like common emojis, words, and active users in order to show you some nice visualizations over this data. Does the data is discoverable? No. The result pages are not being indexed by search engines and protected with unique url. The only way to get to these pages is by sharing the url itself with other people. Will I be able to delete the data? The data is being deleted automatically after 72 hours. If you want to delete it immediately please contact us. You'll need to provide a results page url. Is the data being shared with 3rd parties? No. Nope. нет. לא. Well, you get the point. A side project by Daniel Sternlicht. WhatsApp is a registered trademark of WhatsApp Inc. This site and service are not related in any way to WhatsApp Inc.